Xbox 360 Games with Gold August 2014 - Motocross Madnes..
Xbox Live Gold members can look forward to two free games on Xbox 360 this August with "Motocross Madness" and "Dishonored". For more information on Motocross Madness or Dishonored, please check out all of 360-HQ's coverage via our Xbox 360 Games database and don't forget to subscribe via Twitter, YouTube, Google+ and Facebook for all the latest Xbox 360 news as it arrives. 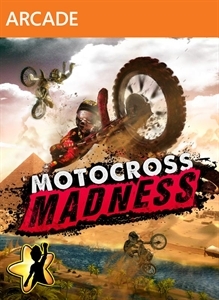 Xbox 360 Games with Gold August 2014 - Motocross Madness..
Motocross Madness Available Now on Xbox LIVE Arcade,..